For many homeowners, hardwood flooring is an investment. 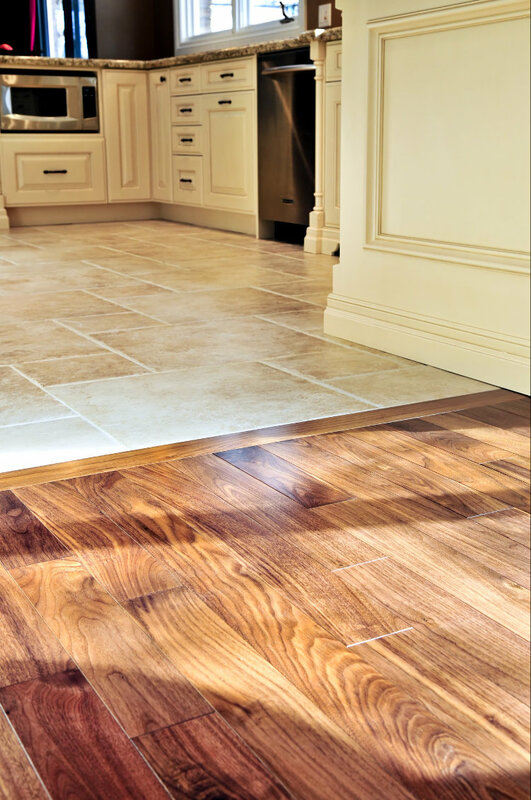 As we’ve said before, this type of flooring increases the resale value of any home. But installation, especially on the high-end scale, could set you back more than $10,000. The good news is, there are flooring options that mimic the look of wood. Luxury vinyl plank flooring is one. Hardwood tiles are also a good choice. Now, if you’ve narrowed your options to tiles vs hardwood, we can help you decide. Here, we’ll talk about the pros and cons of hardwood tiles and hardwood flooring. A hardwood tile is a bit of a misnomer. After all, tile is tile, and wood is wood. When customers say hardwood tile, they’re actually referring to faux wood tile flooring. And it’s as you imagine it to be – porcelain or ceramic tile that mimics the look of wood. That said let’s take a closer look at its pros and cons. 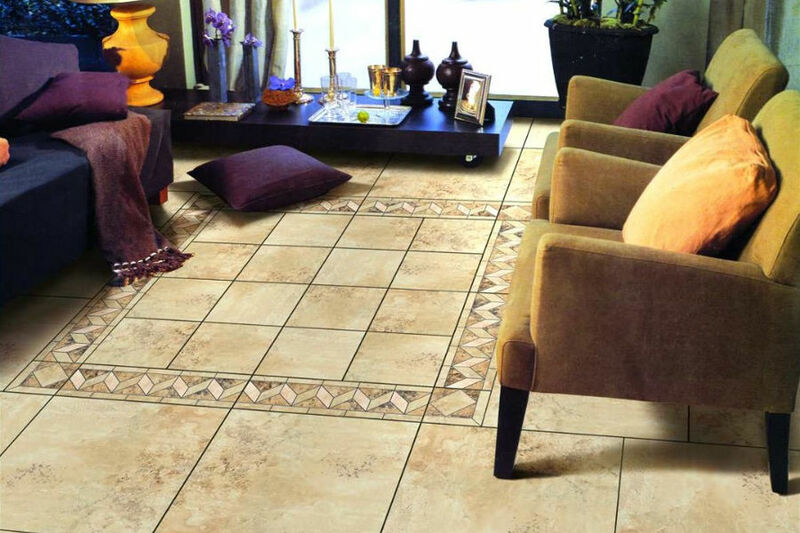 The main advantage of this type of flooring is you get the look you love and the durability of tile. As you know, wood isn’t scratch-proof. But porcelain tiles are, which makes them perfect for a home with kids or pets. They’re also impermeable to water. This makes faux wood tiles ideal for high-traffic areas. These include kitchens, entryways, and bathrooms. They’re also very versatile. Even in basements, they hold up well. That means you can use them all over your home if you want. Tiles can be cold to the touch. And who wants to walk on cold floors during winter? They’re also louder. That is they reflect noise more. So if you have kids and dogs, you need to invest in some area rugs to deaden some of the noise. And yes, they can crack and chip. Faux wood tiles are durable, no doubt. But they’re not impervious to damage if you drop heavy objects on your tile flooring. We’ve said it before and we’ll say it again: Hardwood is everyone’s favorite. Wood floors are unbeatable when it comes to achieving that rich, cozy aesthetic. But they’re not without disadvantages. Let’s talk about that as we explain the pros and cons of hardwood flooring in more detail. Hardwood is beautiful and timeless. With other flooring options, you can’t be sure if they’ll still be the trend, 10, 20 years from now. Hardwood floors are a classic for a reason and they can last for generations to come. They’re also easier on the feet (yours and your pets) and warmer, too. Wood is not scratch-proof and can swell with too much water. This is what makes it tricky to use in high-traffic areas. Unless you’re okay with constant maintenance and repair. And you have to consider if it’s worth the price if you live in a termite-prone area. Remember, hardwood is expensive. If the price isn’t a problem then, by all means, go for it. But if you want to be practical, using hardwood in all areas of your home may not be the best idea. Tiles vs Hardwood: Have You Made Your Choice? Did reading about tiles vs hardwood make your decision easier? If you’re still not sure, don’t hesitate to contact us. We would love to help you find the best flooring option for your home. You can also visit our flooring stores if you want to see what our showrooms offer. 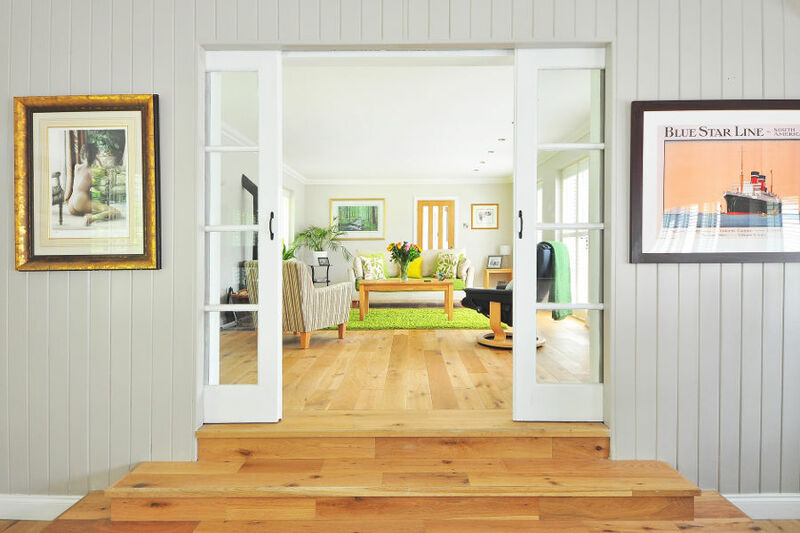 Next StoryReplace Hardwood Floors or Refinish: Which Option Is Best for You?